Angela, Just wanted to take time to tell you thanks again for everything you did for us to make our trip as memorable as possible. 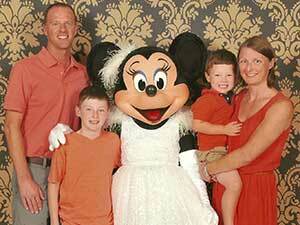 This was the best Disney Cruise we have taken so far!! Amy and I took you up on your recommendation to have brunch at Palo and it was AMAZING!! Our transportation to and from the port was great also. It was so nice not to have to wait in a bunch of lines to board the buses. We can't wait to work with you again when we plan our next trip!! Thanks again! !